I want to be able to pass on this priceless gift to my daughter, Alessandra. So, when I got invited to the preview screening of Disney Pixar’s new animated movie Coco, I got excited! To add to the excitement and fun, I invited my sister and nephews. I had been to the movie theater with them in several years, so this made it extra special. My sister is also teaching my nephews about their Mexican heritage and to speak Spanish. On top of all these wonderful things leading up to the movie, this would be Alessandra’s first time to the movie theater! I was bit hesitant to take her, at 19 months, but my sister offered to help watch her if she got restless and we could take turns walking with her outside the theater. The movie was so good, that Alessandra watched about three quarters of it before she got restless and she left the 3D glasses on the entire time! 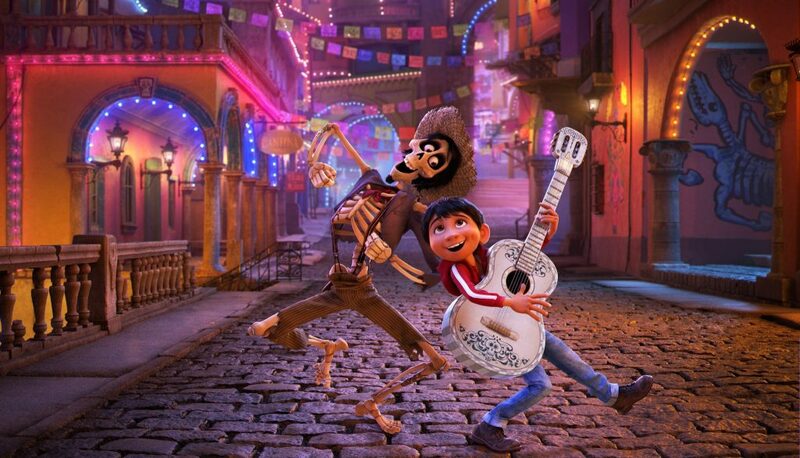 Coco is the story of a boy named Miguel who wants to be a musician, but his family prohibits it because they have a ban on music which goes back several generations. As Miguel tries to find a guitar to participate in a talent show, he is transported to the Land of the Dead. There, he embarks on a journey to try to meet his idol, Ernesto de la Cruz, a famous singer who died several years ago. While in the Land of the Dead he meets some of his relatives which have passed away and learns a lesson about the importance of family. The movie is beautiful and culturally conscious. It is well produced, of course, as a Pixar and Disney movie I would expect nothing less. This is Pixar’s first movie to feature a minority character in the lead role. Which I think is wonderful! The story includes several traditions from Mexico and Dia de Los Muertos. The movie is touching, so much so that I got teary eyed towards the end. 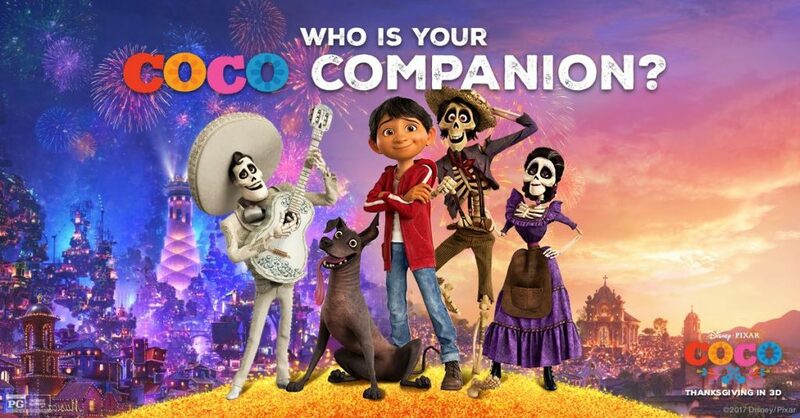 I personally do believe in spirits, angels, and saints, and watching this movie made me imagine perhaps what an afterlife or heaven could look like,, and in Coco, it is colorful and nice! Coco is rated PG. A few days before the screening, I asked my husband if he thought it was ok for me to take Alessandra to watch this movie. I was more concerned that she would be restless and not make it through the movie, and I wasn’t sure if there would be any scenes which may be considered scary for a toddler, particularly because it was about Day of the Dead. Alessandra isn’t easily scared, but I am always aware of what she watches and is exposed to. My husband read some reviews and said some indicated that the movie was more appropriate for children age seven and it had a few scenes which are dark. Alessandra was fine during the movie and seemed to enjoy it. I doesn’t think she understand what ghosts or spirits are, so to her they were simply animated characters on the screen. There were a few scenes with a large brightly colored alebrije (Mexican folk art fantastical creatures) which kind of startled her, but she did not turn away or get scared. My nephews, which are seven and nine, understood the message of the movie and enjoyed it! My sister and I laughed at several of the Mexican cultural references in the movie. It was a wonderful time with the boys and Alessandra! 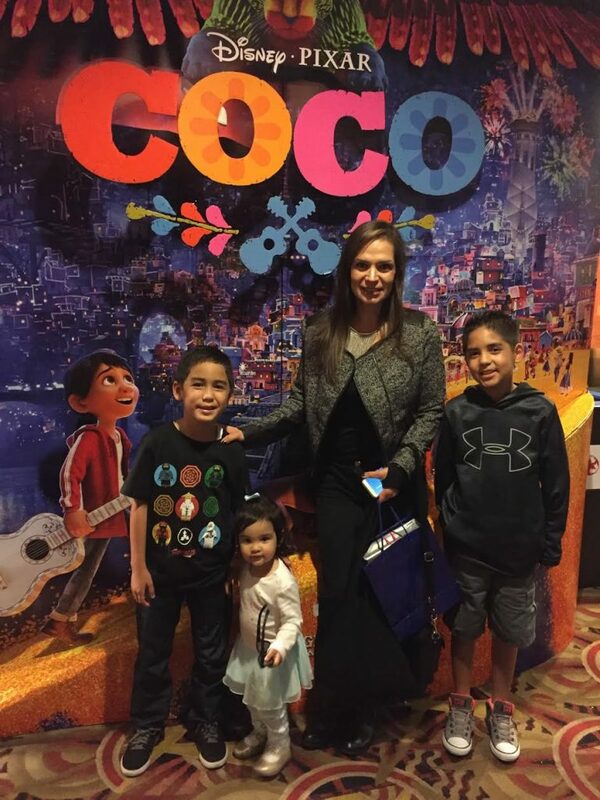 Coco is not only a joy to watch, it was also an educational film, not only for Hispanic audiences, but also for the general market. Coco opens on November 22 in theaters in the United States, just in time for the Thanksgiving holiday! It opened in Mexico a month ago, at the same time Dia de Los Muertos is celebrated and has already broken box office records! I hope it also sees box offices success in the United Sates and abroad, so movie studios see that movies which feature a minority character in the lead role can lead to success! Below if the Coco movie trailer if you would like to watch it. You can also visit Coco for more details. Hope you make it to watch this beautiful and entertaining movie! 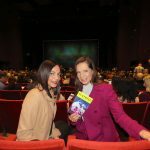 This entry was posted in Entertainment, Lifestyle, Motherhood and tagged Entertainment, Lifestyle, Motherhood, Movie, Movie Review, Video, YouTube by phjiao. Bookmark the permalink.